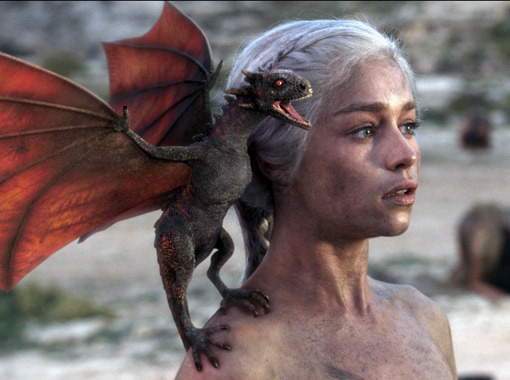 …HBO’s Game of Thrones reached a series high for its first season finale, hitting 3 million viewers for its 9 p.m. premiere airing. All told for the night, 3.9 million viewers tuned in…. June 21, 2011. Tags: daenarys, daenerys, daenerys dragon, Emilia Clarke, Game of Thrones, George R.R. Martin, Lena Headey, Sean Bean, Song of Ice and Fire. Entertainment, Fantasy, Fiction, Mystery, Popular Culture, Sci Fi, Supernatural, Suspense, Warner Bros.. Comments off. June 14, 2011. Tags: Game of Thrones, Game of Thrones season finale, George R.R. Martin, Lena Headey, Ned Stark, Sean Bean. Celebrities, Entertainment, Fiction, Mystery, Popular Culture, Suspense, Warner Bros.. Comments off. June 11, 2011. Tags: Game of Thrones, George R.R. Martin, Lena Headey, Sean Bean. Entertainment, Fantasy, Fiction, Mystery, Popular Culture, Supernatural, Suspense, Warner Bros.. Comments off. June 3, 2011. Tags: Game of Thrones, George R.R. Martin, Lena Headey, Sean Bean. Entertainment, Fantasy, Fiction, Mystery, Politics, Popular Culture, Supernatural, Suspense, Warner Bros.. Comments off. May 31, 2011. Tags: Game of Thrones, game of thrones promo, George R.R. Martin, Lena Headey, Sean Bean, Song of Ice and Fire. Entertainment, Fantasy, Fiction, Mystery, Popular Culture, Supernatural, Suspense, Warner Bros.. Comments off.